This is a sponsored post on behalf of World Market. I was provided with gift cards in able to facilitate this post. All opinions, as always are my own. Favorite German Fare! 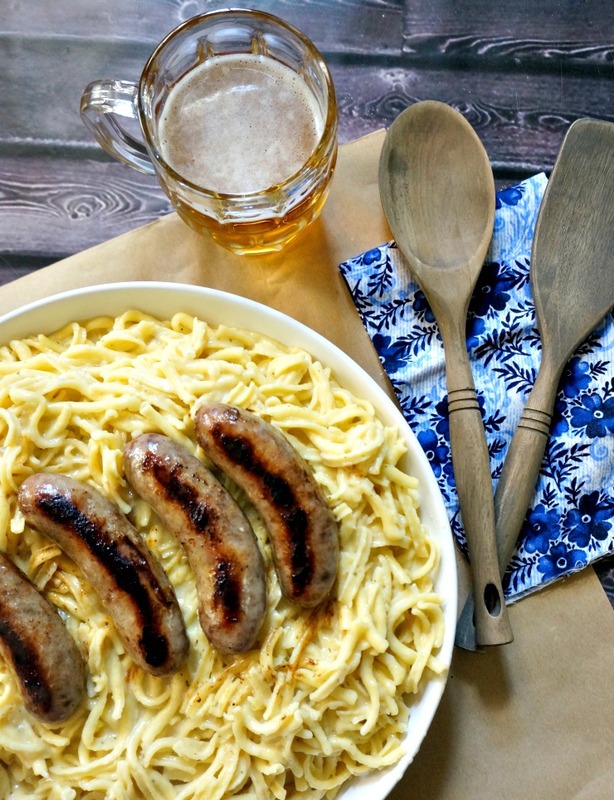 Käse Spaetzle with Beer-Braised Brats bring German comfort food recipes to your plate with authentic International Food Brands from World Market. Travel may not be a top priority for a lot of families – but for me? It’s really up there. I cherish all of the trips I’ve gotten to take; I’ve seen some incredible places, and enjoyed some truly amazing foods. There are so many top contenders for favorite vacations – wine country in Italy with my husband and St. John with my mom and sister – but you know what place has my heart? Germany. Through and through. 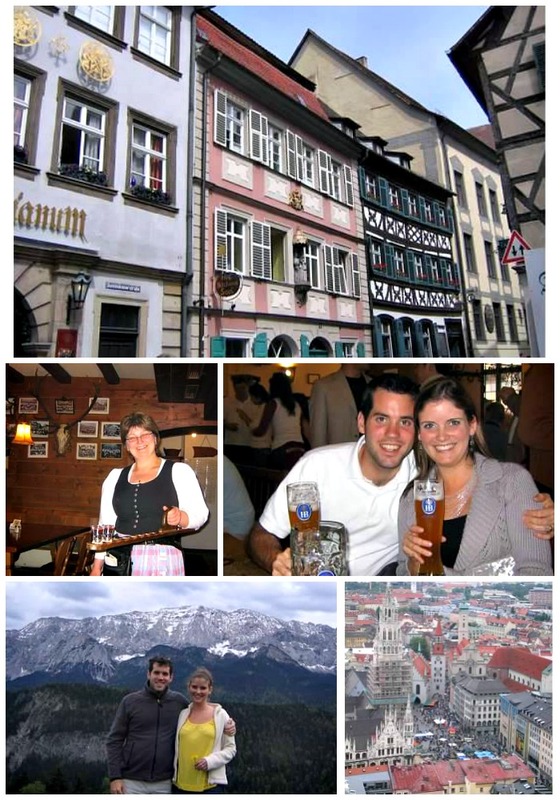 In addition to spending a summer in high school in a small Bavarian town, I’ve also visited Germany with my parents as a pre-teen, and then again with my husband. The quaint villages, the bustling city beer gardens, and the generous and low-key locals all make the trip special. But you know what stands out to me above all? The food. Spargel season (a.k.a. the best time of the year ever) marks the debut of White Asparagus on every menu across the country. Not sure why that’s exciting? Book a trip to Germany in May, and then we’ll talk. Before farm to fork was cool here in the states, in Germany, this has always been the way. Fresh and seasonal produce, game meat like you rarely encounter in the US, and comfort food that really warms the soul. While I’ve yet to encounter white asparagus states-side that can do the real deal justice, I have found some authentic international favorites at World Market. 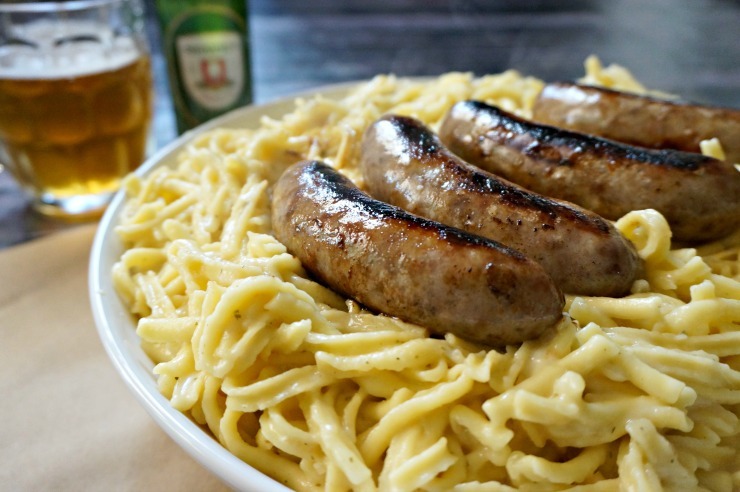 And since I’ve been craving my German food favorites, I dropped in to pick up some supplies for one of my favorite dishes – Käse Spaetzle with Beer-Braised Bratwurst. 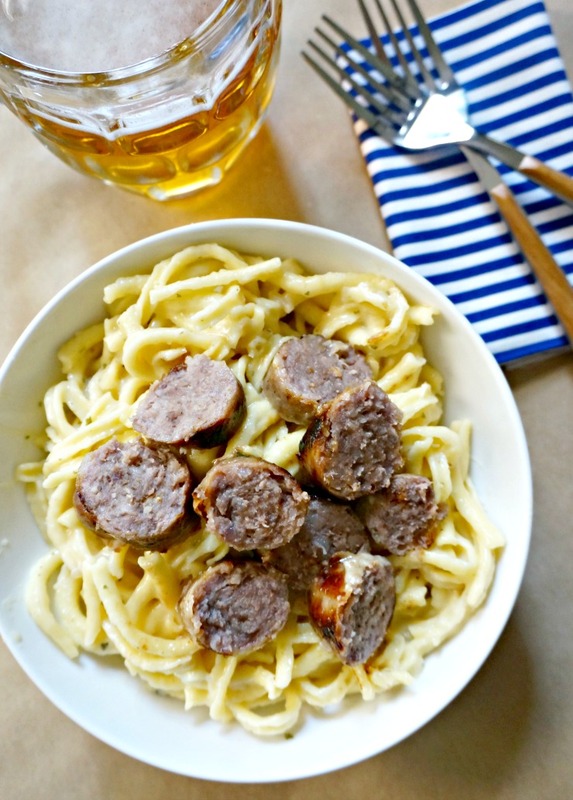 What’s Käse Spaetzle (pronounced: kay-zuh shpate-zuhl)? 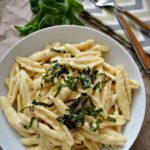 Think of it as macaroni and cheese, with noodles that have a similar texture to dumplings. 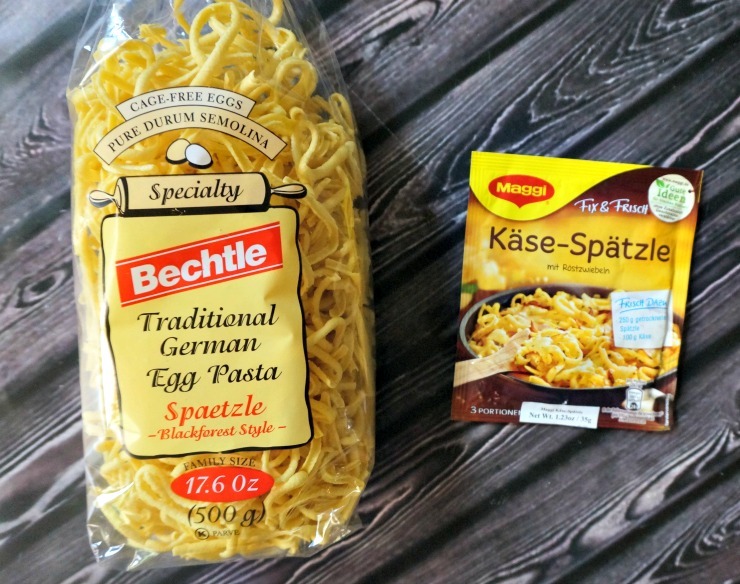 At World Market, I was able to score dried Spaetzle and Käse Spaetzle flavor packets. 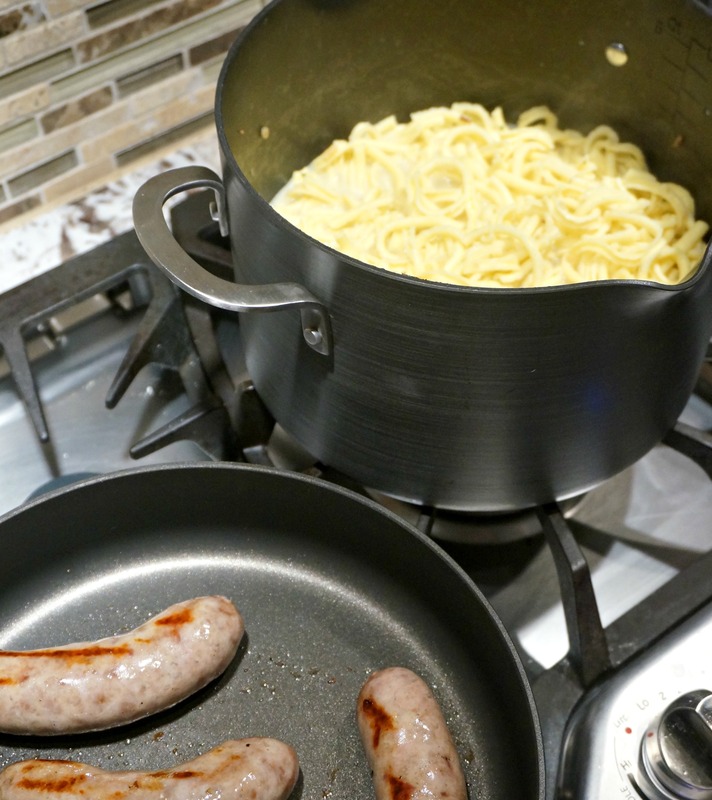 To make the Käse Spaetzle, use two of the Fix and Frisch packets and combine them with 1500 mL in a large dutch oven pan. Bring to a boil, then add in 500 g of dried Spaetzle. Return to a boil, then drop the heat to a simmer. Leave uncovered and cook for about 17-18 minutes – until the noodles have just a very slight bite left. Next, add in 2 cups of shredded cheese – I used Swiss and loved it. Turn the heat to low, cover, and allow to cook for about five minute until sauce is thick and cheese is melted. The bratwursts are super easy to cook. 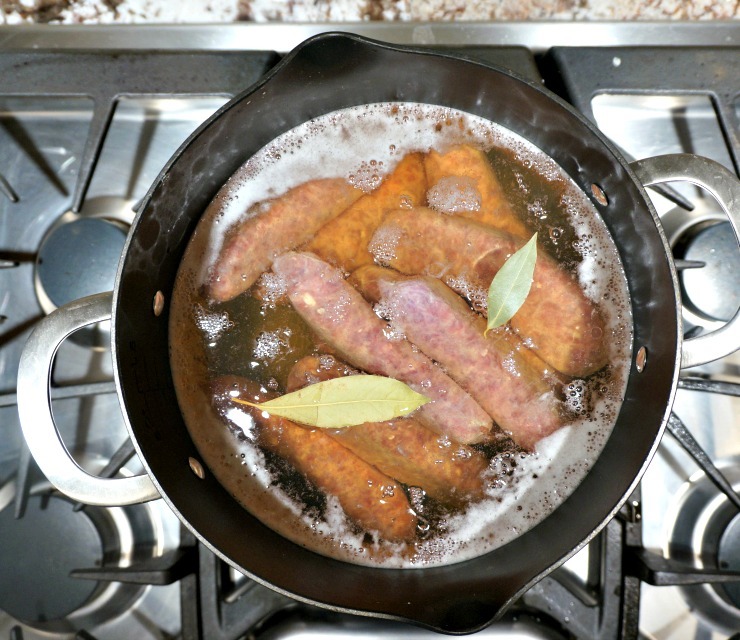 I got brats from my grocer and covered them in beer, and added a few bay leaves. Cook over a simmer for about 30 minutes. Drain and then pan-sear or grill. I actually had to do both ’cause my propane ran out. Boo. Wanna serve it all the German way? Ditch the buns and use your good ol’ forks and knives. Get creative with the condiments though! 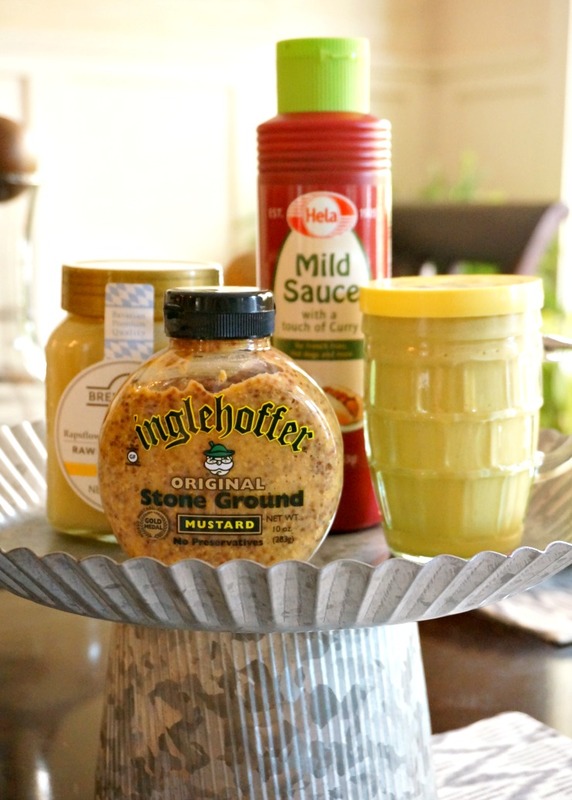 We were all raving over the Düsseldorf Mustard. Yum. 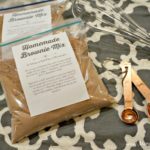 Cooking for a group – go traditional with the snacks, too! 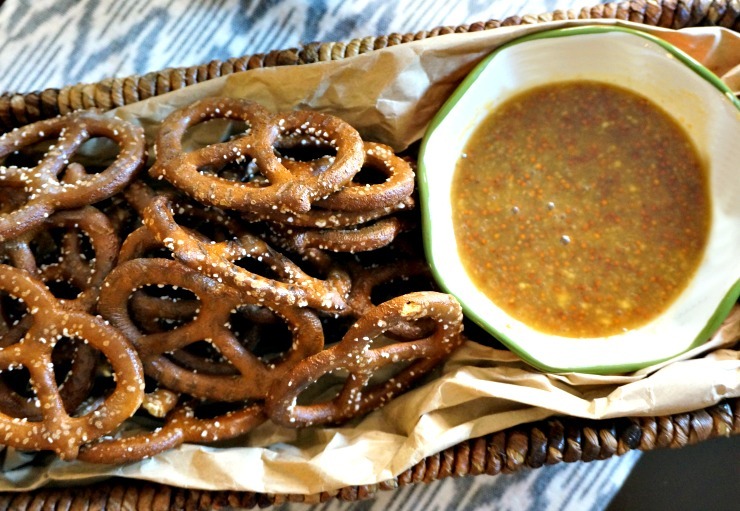 Nothing is easier (or tastes better with a German beer) than pretzels and honey mustard. 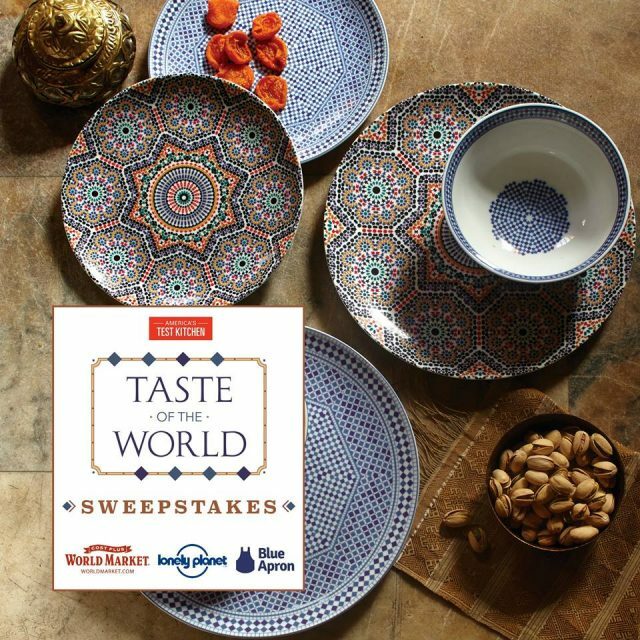 Once again, all of this can be found during your World Market shopping trip! 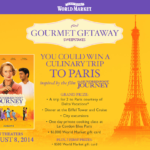 Foodie Call – Gourmet Getaway with World Market and The Hundred Foot Journey! 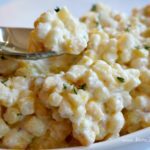 Hey there, I was really laughing reading your Post about the Kaese-Spaetzle as I am from Germany – southern region so Kaese-Spaetzle is one of my favourite things to make when it gets cold outside. For a real South-German girl the Spaetzles are made by hand but this is surely not so easy.